Why Did I Choose Duncan Aviation? Arguably, business aviation has seen more rapid change in aircraft technology and transaction complexity in the last five years than the previous 25. The ramification of making an error during the transaction process is more costly and time consuming today than ever. Clients are demanding an advantage from their aircraft broker and successful brokers like Duncan Aviation must deliver. When I first entered the industry in the late 1980s timely access to information was the key to being a successful broker. I joined my father’s firm near Pal-Waukee Airport at age 13 where we had a phone, a fax, and a telex machine. Our knowledge of the Beech King Air and two gigantic binders of aircraft data was our competitive advantage. This information was so critical, we couriered it next-day air from New Jersey. I had the privilege of updating the binders upon arrival. As an early subscriber, our information advantage lasted several years. One year, we sold almost 20 King Airs with the help of this resource. Today, email has replaced the telex and the internet has replaced the binders (thankfully!). Some aircraft brokers have moved from a professional office to the dining room table or the local internet coffee house to lower costs. The barrier to entry is low and the competition, fierce. All the while, the technological advancements in aircraft have accelerated and transaction complexity continues to increase. Frankly, most aircraft brokers agree that the sales environment is more demanding, the deals take longer, and there are more moving pieces in each deal today than ever before. Client’s requirements for greater technical, transactional and support resources during the transaction process and beyond increases each day. After all, the ramifications of a costly error are too great, and the client relationship is too important to lose if something goes amiss. At the defense of the brokerage community however, few brokers offer these capabilities in-house because clients have not demanded it…yet. For the last few days many have asked me, “Why did you join Duncan Aviation?” Simply put, I believe that in today’s business environment, our clients require more, deserve more, and should expect more resources from their aircraft broker. I also, believe they will come to the same conclusion as I did about Duncan Aviation. 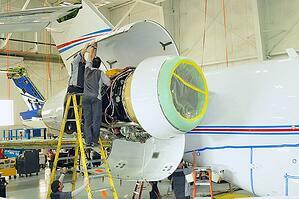 Did you know that Duncan Aviation has 2,150 aviation experts, each with an average of 12 years with the company? Did you know that the aircraft sales team partners with these experts to provide technical support before, during and after the aircraft transaction? Do you know that Duncan Aviation can consider a combined brokerage and support services offering? Did you know on any given day there are 125 aircraft in-house at Duncan Aviation locations, and 175 aviation experts in-the-field, making technical, sales and service visits, providing the aircraft sale team more exposure to service issues than other brokers in the business? Did you know that during the past four years alone, Duncan Aviation has performed more than 75 aircraft imports, 20 exports, and a multitude of Experimental and Supplemental Type Certifications? Did you know that our staff holds both Airworthiness and Manufacturing Unit Member authority and our in-house International Compliance Officer assists in eliminating costly “gotchas” that might arise during complex cross-border transactions? Did you know that Duncan Aviation facilities in Battle Creek, Michigan; Lincoln, Nebraska; and Provo, Utah; have conducted more than 100 pre-purchase evaluations for aircraft transactions over the last two years and those experiences help our clients factor in potential pre-purchase and refurbishment costs? Did you know that in the last 36 months, Duncan Aviation has conducted business with 79 of the 86 Fortune 100 companies that own aircraft? Did you know that our technical team provides regular technical advice to other aircraft brokers and that we take great pride in collaborating with them to make transactions smooth and efficient? We also enjoy working with other brokers to uncover opportunities that suit clients’ requirements? Did you know the majority of Duncan Aviation's Aircraft Sales customers return when it is time sell or purchase their next aircraft? Did you know most first time aircraft sales customers are referred by existing satisfied Duncan Aviation Aircraft Sales customers? Did you know that Duncan Aviation started as a business aircraft sales company, is a founding member of NARA (National Aircraft Resale Association), and has conducted over 3,500 transactions since 1956? 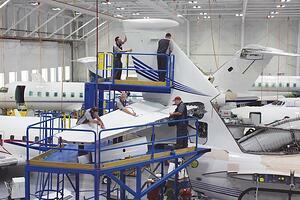 Did you know that Duncan Aviation’s Aircraft Sales & Acquisitions team has an average of 28 years of experience? Now you know why Duncan Aviation provides an Experience, Unlike Any Other. Call me to discuss how we can be of service.